It’s all about timing … or is it? 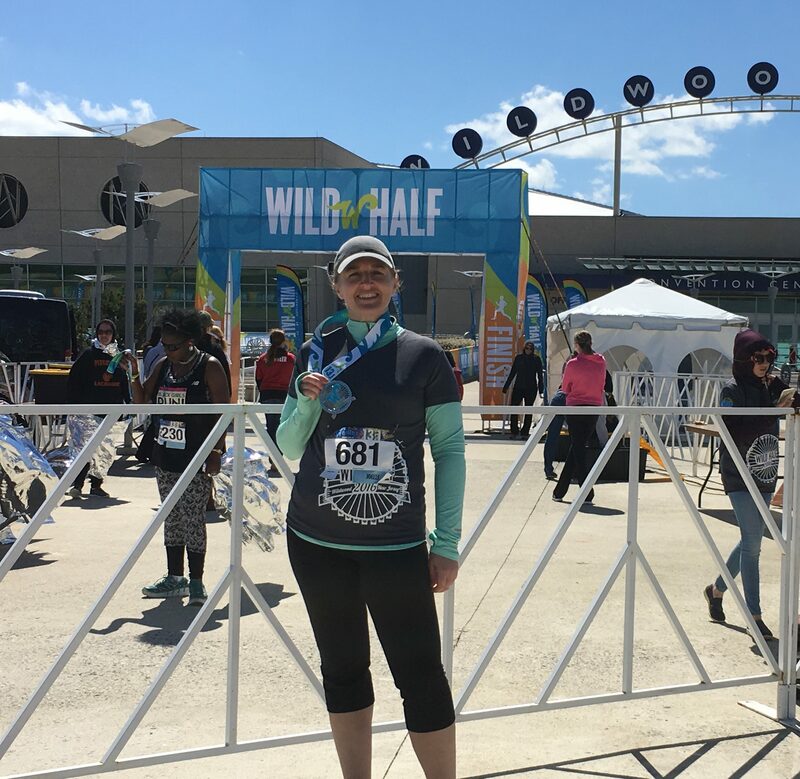 About two weeks ago, I did my 16th half marathon as a walker. My finish time was my second-best ever, which came as a bit of a surprise, and I soon learned why. 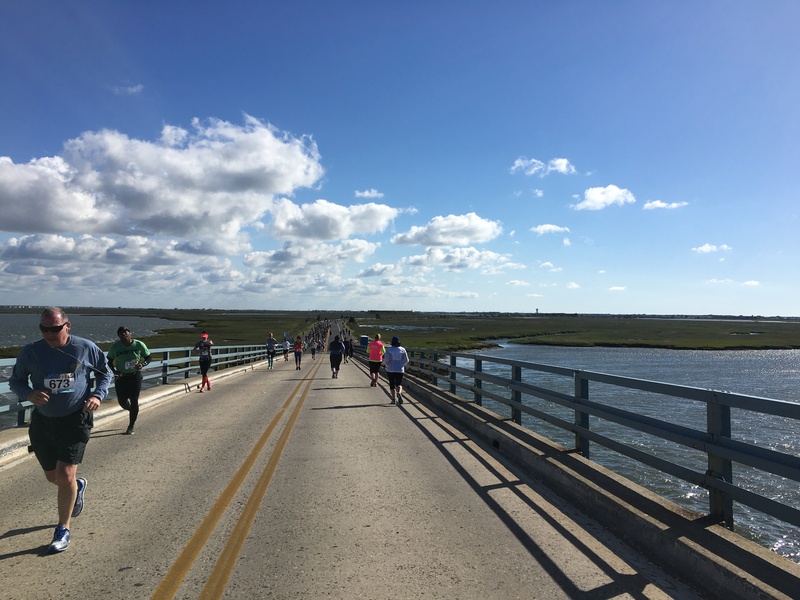 The course was in a beach town (Wildwood, NJ), which is my favorite place for a race course, so it was fast and flat with great scenery. The temperature was about just right, although there were ferocious winds, with gusts up to about 20 mph. Somehow they seemed to be headwinds the majority of the time, which made it tough going. I didn’t see a mile marker until mile 3, so I wasn’t sure of my pace in the beginning. But as the race went on, I felt steady and strong, and my RunKeeper app gave me a sense of my timing. Beautiful day for a race! Headed toward Stone Harbor (and the halfway-point turnaround) from North Wildwood. At one point, too, I kept a mental count of how many runners I passed … I stopped after 6. I praise anyone who undertakes the goal of doing a race, no matter their pace, but it does give me a thrill to walk faster than some people run. 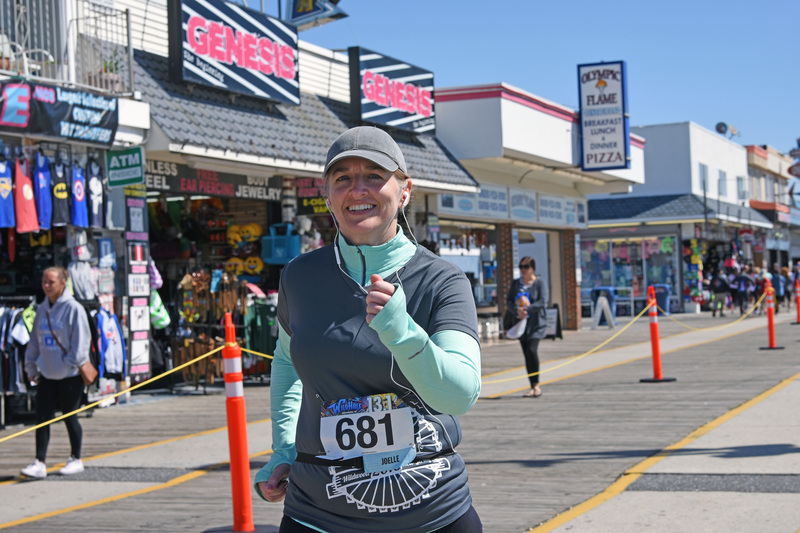 Feeling strong in mile 12, on the Wildwood boardwalk! The finish line approached and its clock was under 3 hours — which meant that, even factoring in the small amount of time after the race start that I crossed the finish line, I had indeed broken 3 hours. Soon thereafter I got a text from the race tracking system with my finish time: 2:57:49. I was surprised! Sure, I had done my mileage work during training. But I’m up several pounds over my normal weight, I haven’t been working out as regularly otherwise as I’d like, and I haven’t been eating the most balanced, healthy diet lately. Plus, factoring in the wind … again, I was surprised. On top of that, my RunKeeper app tally was about 12.7 miles, which was slightly puzzling. But I did feel really good during the race — I felt like my pace was consistent, as was my stride, and so I thought maybe the pieces had come together. I was really pleased that I had finally broken the 3-hour mark again. And then … it was negated. Which tells me that although a brag-worthy finish time is great and all, accomplishing the goal in the first place is just as worthy of crowing about. Keep it in perspective and don’t let numbers get you down. 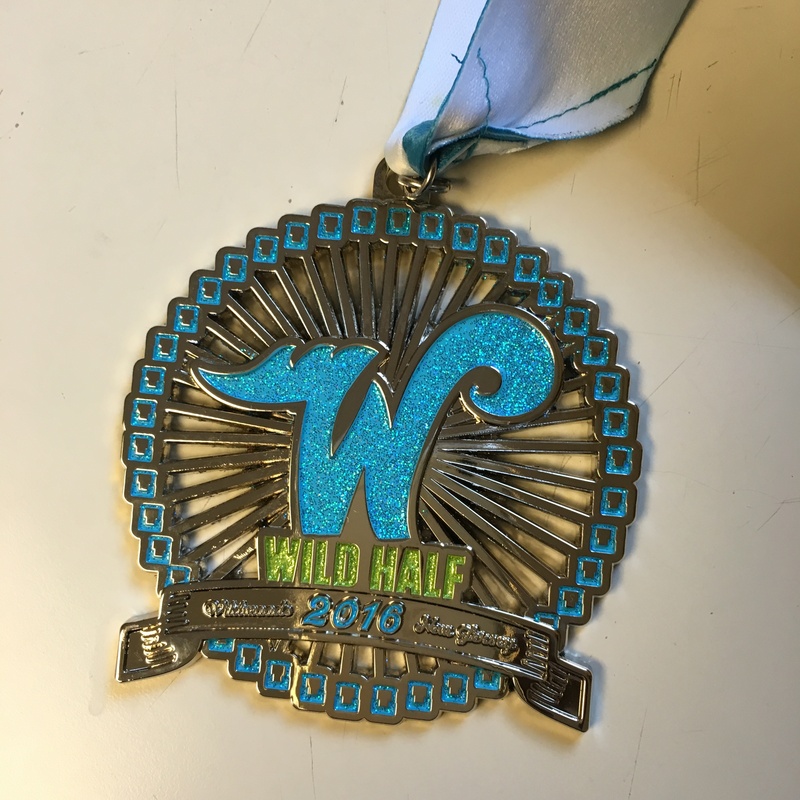 This entry was posted in About me, Race stories and tagged #WildHalf, half marathon, marathon timing, race PR, race timing, walking, Wildwood by Walk With Joelle. Bookmark the permalink.